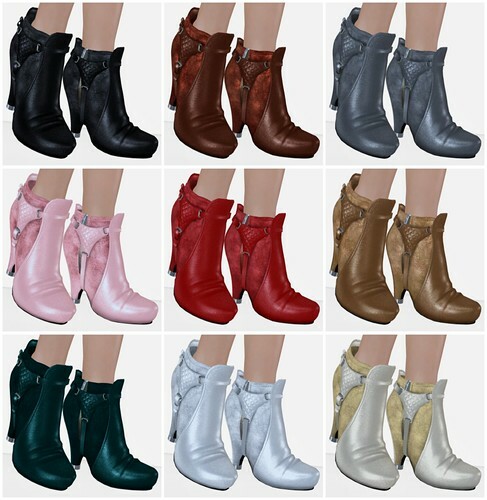 SLink has just released the BeeBee Boots in 9 colors. 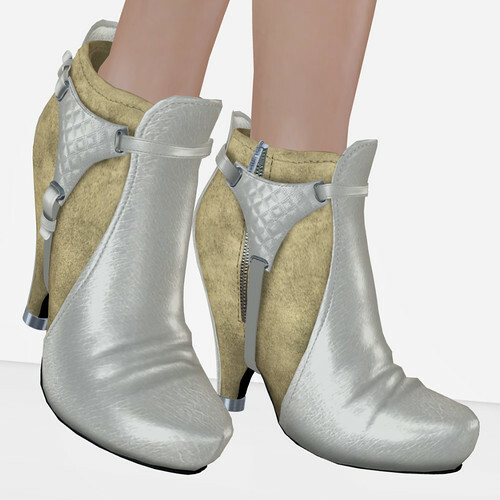 All of them are stunning, of course, but I rarely ever see nice golden shoes, so I’ve decided to make an outfit based around the White Chocolate BeeBee Boots. I’m wearing the Last Call ‘Nicole’ outfit, it really goes great with these boots! I know Last Call is ‘vintage’ and some of the outfits are even outdated looking, but really some pieces still look amazing (and besides I bought too much before the shop closed and now I feel guilty letting it collect dust in my inventory!). I personally think this may be Siddean Munro’s best boots yet — the design is amazing and she incorporate so many details and texture variations. Visit SLink for BeeBee Boots & More! I still love all my last call stuff and wear it frequently..It’s holding up quite well. Those boots are amazing! I love my last call things as well. I am actually wearing the pants from the equestrian set the moment I log on in world. I put them on this AM before leaving for work. As I watched them rez, I was once again reminded of the incredible attention to detail that Ginny Talamasca paid to his work. Though I didn’t even exist in world at the time Ginny was designing, I have heard his name spoken with reverance and people drag out their collections of his work with reverance. His passing from the world (both of them) is a real loss. I haven’t seen a pair of equestrian pants in SL that I like better, and that is even years later. P.S. I should have mentioned I absolutely love the boots, but was overwhelmed by the gorgeous creation from LC and and admiration for it’s creator.